All City Writers Exhibition - Tonite. 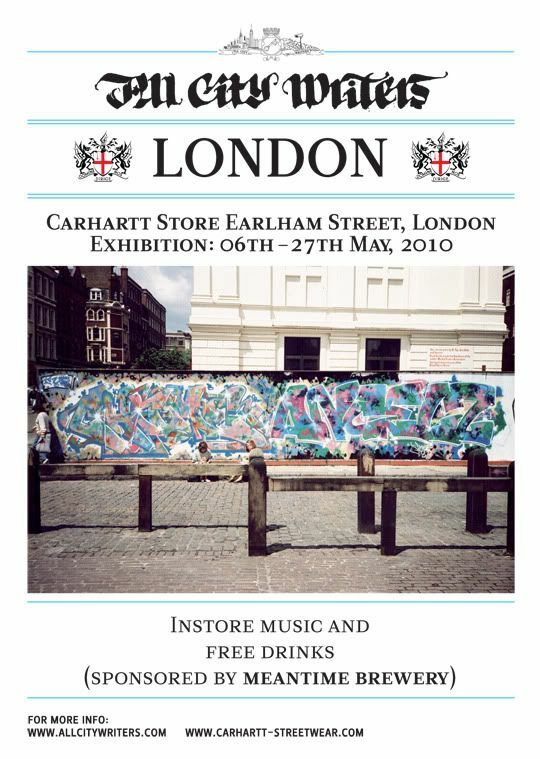 In conjunction with the release of Andrea Cuputo’s book, All City Writers, the Carhartt Store on Earlham Street will be hosting an exhibition of photographs and images from all over Europe. The private view will be hosted on Thursday 6th May from 7pm and will run until the 27th May. The Meantime Brewery of course, providing the free drinks.